This section will show how to take a Dockerfile project, build it and push to Docker Hub. You might have many uses for Docker images in your normal work; but you'll also want to curate Docker images for your Concourse pipelines. Your Concourse tasks will be a lot faster if any dependencies are preinstalled on the base image, rather than you downloading them each time from the Internet. Your team might start curating a set of Docker images to be used by all your pipelines. 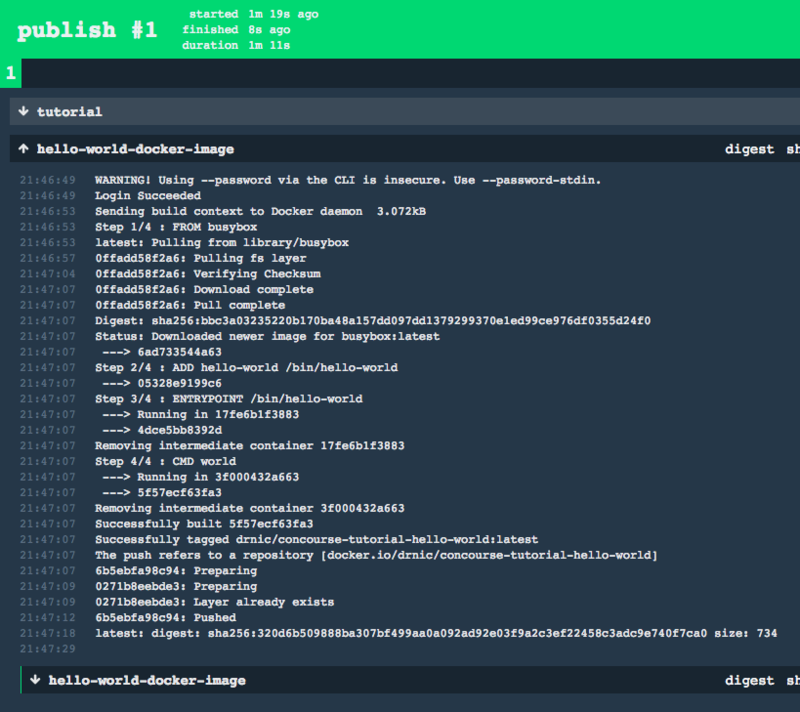 This section's subfolder docker contains a Dockerfile and a simple hello-world command. We could manually create a docker image and push it to Docker Hub. But since we have Concourse we will use it instead. The purpose of this lesson's pipeline.yml is to put a docker-image resource. You can see there are parameters that are required. If you are using bucc then use credhub to store them. We can now use the Docker image as the base image for tasks.